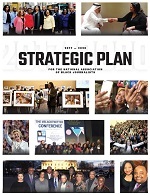 DETROIT, MI – The National Association of Black Journalists (NABJ) congratulates the winners of the 2018 Salute to Excellence Awards in categories including college, digital, print, television, radio, photojournalism and public relations. 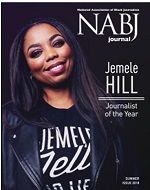 Winners were announced Saturday, Aug. 4, during NABJ's 43rd Annual Convention and Career Fair in Detroit, the largest gathering of minority journalists in the country.The Salute to Excellence Awards gala was sponsored by our partner FedEx. "Favorite Son of a Troubled Town"
"Rise and Reign: Growing Up With Serena"
"You Just Can't Shake It"
Missing Colors: Is Real Equality Finally Coming to the Gayborhood? "The Fight for Takkarist McKinley"
For Decades, Harris County’s Bail System Trapped the Poor. Is that Finally Changing? Are Metro Atlanta School Districts Keeping Your Student Bus Rider Safe? Too Young for Division I? Nice Tribal Wear, Now Take it Off. Another View: "Educating Our Black Boys"
Another View: "Blacks in Film: Is Hollywood Getting the Message?" Police Transparency- When Should Names of Officers Who Kill Be Released? Third Rail with OZY: Is America Becoming More, or Less, Racist? Birthing Inequity: Black Women and Infants in Oakland are Experiencing Negative Health Outcomes at Much Higher Rates than Women of Other Races. Here’s why and what’s Being Done About It.